It was no ordinary day in the history of Sweet Briar College, and everyone present could feel it. For one, it was President Meredith Woo’s first official commencement. 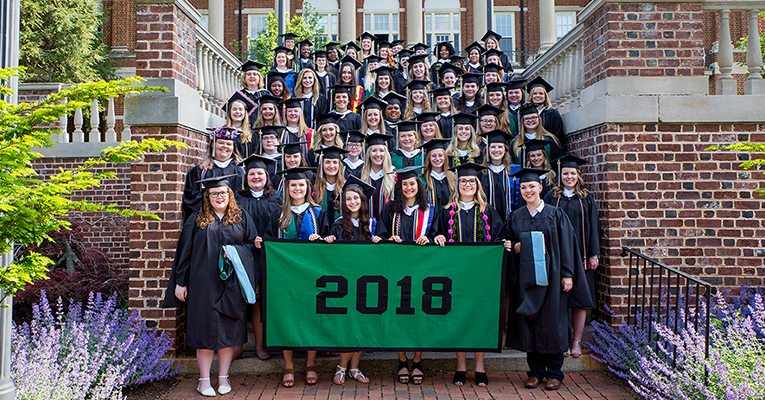 But when the Class of 2018 graduated on Saturday, May 12, Sweet Briar celebrated not just a college commencement — it celebrated a whole new beginning. What started in the summer of 2015, when this class returned to Sweet Briar to build a new college, had now come full circle. The significance of it was not lost on Presidential Medalist Ashton Mays, who knew that everyone in her class has “something big to contribute,” nor senior class president Annabeth Griffin, whose tearful speech illustrated the emotional roller coaster of the last three years. 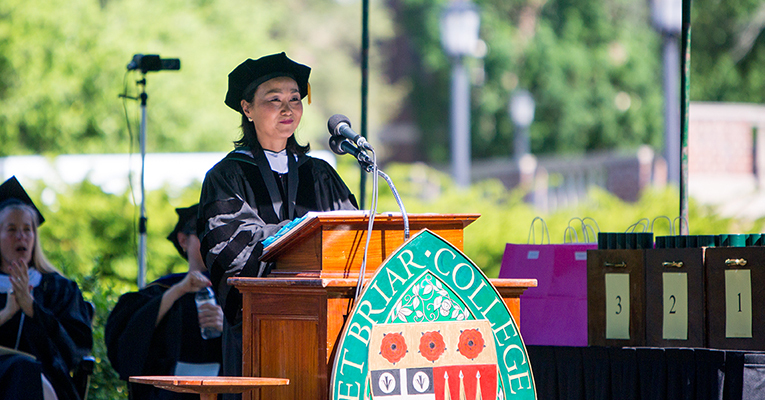 In her remarks later on in the ceremony, Chairwoman of the Sweet Briar College Board of Directors Teresa Pike Tomlinson ’87 admitted that hearing their stories at Baccalaureate the day before made her realize just how “seismic” the shock of the closure announcement in 2015 had been for the Class of 2018 — so she’d discarded her prepared speech. Instead, she reflected on that moment and her now legendary commencement speech that year. 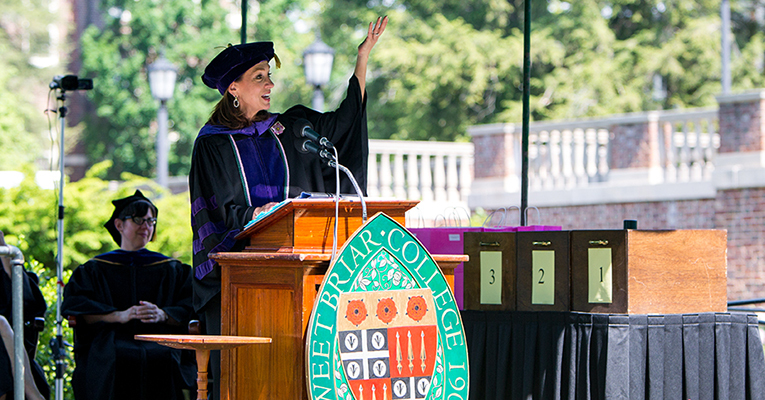 She also thanked the graduates for coming back to Sweet Briar and rebuilding a college that could not have existed without them. “You responded with faith and determination,” she said. Commencement speaker Nella Gray Barkley ’55 also gave a nod to that Vixen spirit. “You are the women who just wouldn’t quit,” she observed. Her keynote address focused on a practical 10-step plan to help answer life’s existential questions — “Who am I?”, “Why am I here?” and “What am I going to do about it?” Answering those questions systematically could help one find meaning and fulfillment in work and life, she said. After Acting Dean of the College Lynn Rainville presented three M.A.T. 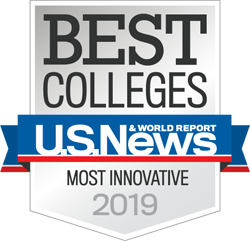 and 61 undergraduate degrees, it was time for a word from the Alumnae Alliance Council, delivered by Judith Greer Schulz ’61 — “one of the College’s most enthusiastic alumnae — and that’s saying a lot,” as President Woo pointed out. Then, Emily Dodson and Marina Biel announced the Excellence in Teaching and Excellence in Service awards, respectively. Religion professor Geoffrey Pollick was honored with the former, while Gloria Smith in the Office of Student Life took home the latter. Both received standing ovations from students, faculty and staff. Next, Rainville presented students with the all-College awards before leaving the podium to Woo, who gave her charge to the Class of 2018. “As I stand here, I am reminded that sometimes where you study is as important as what you study,” she said. “As the Class of 2018, you studied at a place which is a significant part of American cultural history. … Sweet Briar is an important American legacy. Year after year after year, it produced women of strength and talent — women who carried all before them, in their families and communities, always being ‘useful members’ of their societies as in Indiana Fletcher Williams’s charge to us. You can watch the entire ceremony below.